We are a community of people sharing a passion for improving health. We begin with ourselves and then support our friends and families with our newfound energy and experience. Provide us with your contact information and you will hear from a Beacon coach shortly to answer your questions, learn more about you, and to help you get started. We look forward to sharing Beacon with you. 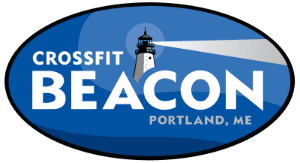 if you ever have any other questions or want to speak with us directly, you can reach us at krista@crossfitbeacon.com or brian@crossfitbeacon.com.